If you think you have your spending under control, pop all of your recent purchases into a blog post and you’ll see that you’re very much mistaken. Oops. But cute things just have to be blogged about…don’t they? I spotted these adorable shoes whilst browsing ASOS and instantly needed them. They have the cutest little bunny design with a heart shaped nose and glittery pink ears, and they have the prettiest iridescence in different lights. They even have little white pom pom tails on the back of the shoe! My boyfriend thinks they’re hideous but what does he know *sassy emoji*. 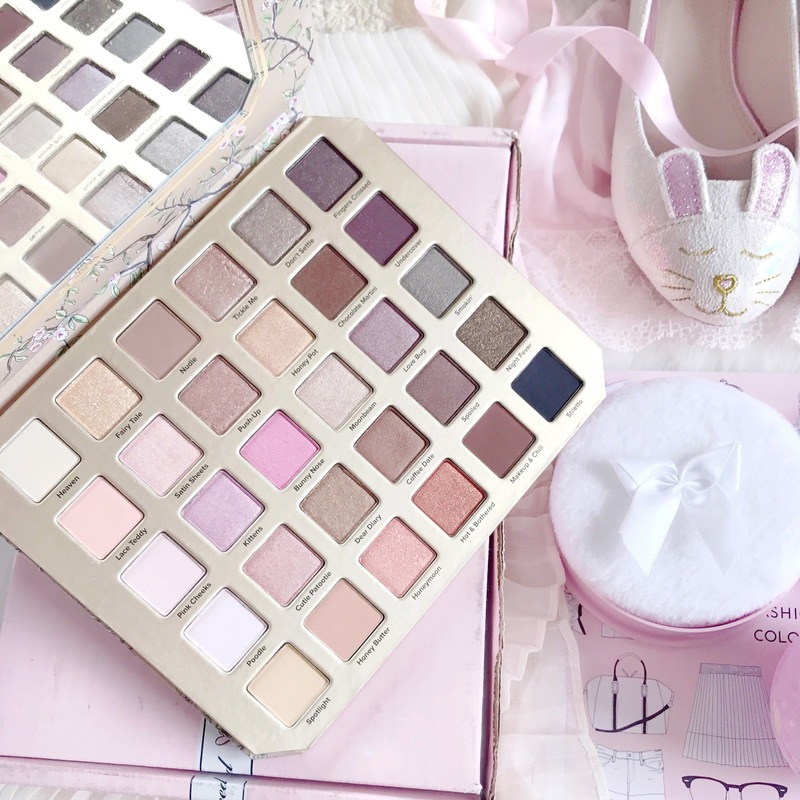 The neutral palette of dreams! 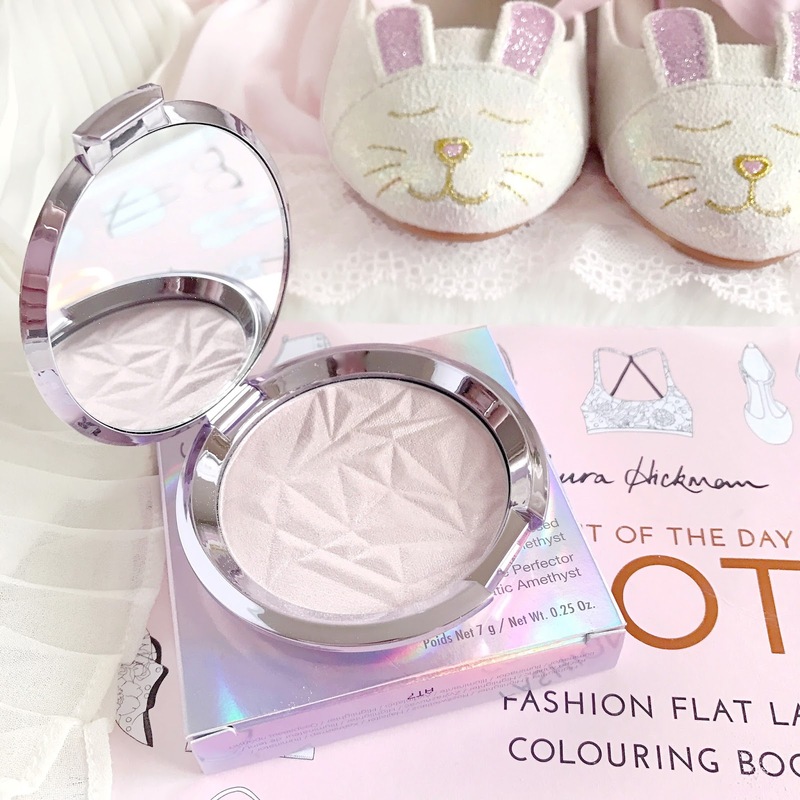 As soon as I heard about this limited edition release from Too Faced I was all over it, and I ordered it straight from the Too Faced site they day it came out as I was far too impatient to wait for the UK release. Luckily they were offering free shipping at the time and I wasn’t charged for customs, phew. The palette itself is just stunning and I will definitely swatch it in a blog post soon! As I’d previously mentioned in my March Photo Diary, I splurged on the new limited edition highlighter from Becca. I’m already a massive fan of the Shimmering Skin Perfectors, the quality is so intense and velvety, so I knew I’d love this newbie. It’s a gorgeous pearly pale lavender with a really unique iridescent sheen. It’s like a barbie/mermaid hybrid and is so pretty. Plus that packaging though…my heart can’t cope. Whilst not being particularly Spring themed, I did pick up a Twilight bath bomb which is one of my favourites from Lush. I love the cute lilac pink design with the moon and stars, and it has a relaxing scent of sweet lavender with a creamy almost caramel scented undertone. It releases frothy swirls of soft pink and baby blue and is so pretty! One of those ‘the packaging made me buy it’ purchases. Can you blame me though when it’s baby pink with ribbons AND roses. It’s a dusting powder that you can use with the puff after a bath or shower which leaves your skin feeling silky soft and delicately fragranced. It has a very fresh, floral scent which smells so lovely and I think women of all different ages will love it. It will make for such a pretty dressing table addition. Which of my Spring purchases is your favourite? I just love how pink everything is in this post. 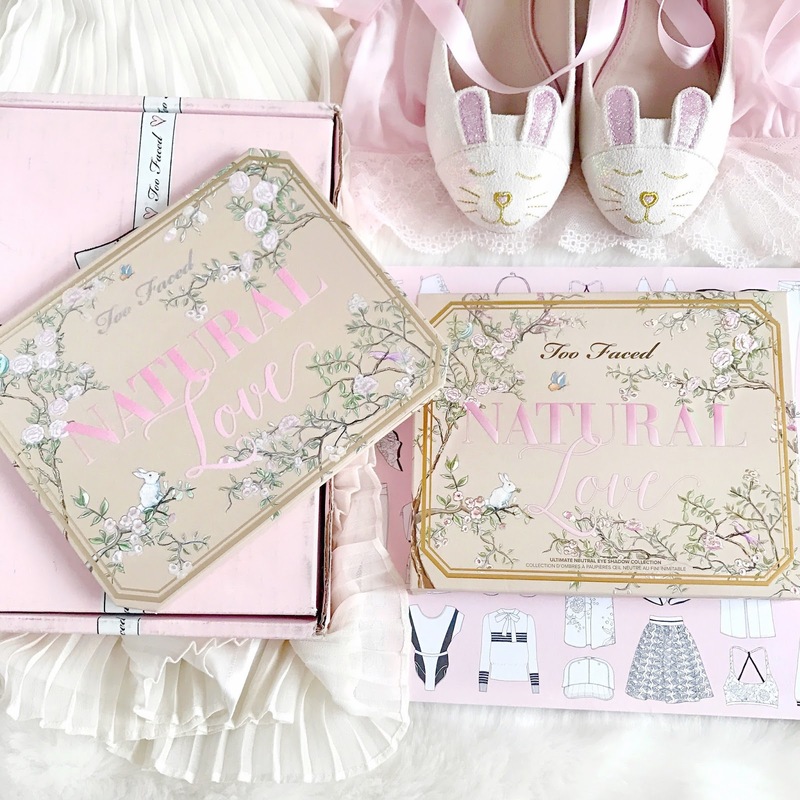 Top Faced have the cutest packaging ever, I'm so obsessed with them! 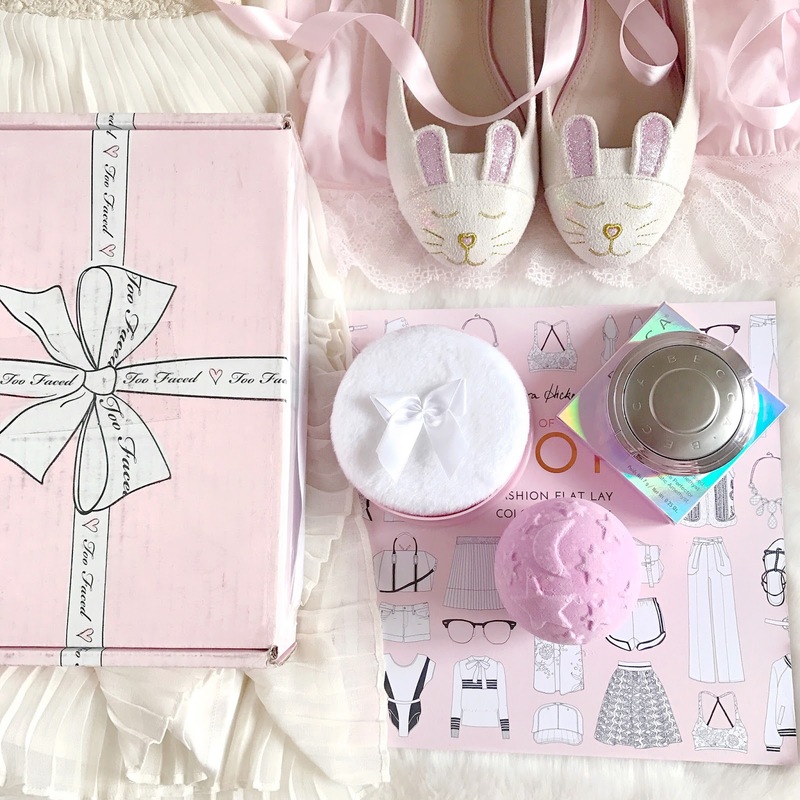 OMG the bunny flats!! I absolutely need those! Can I just say that I love the way you took these photos? You make my haul pics hang their head in shame so will be using this as a means of motivation. 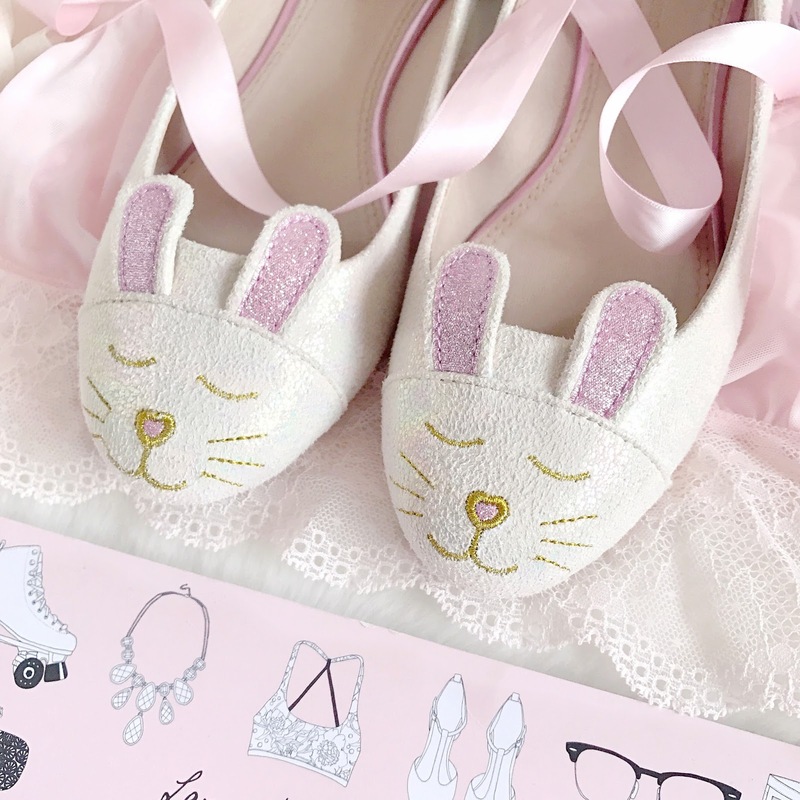 Also, those bunny flats are absolutely adorable and I need them in my life! Wow Catherine, your blog is stunning! 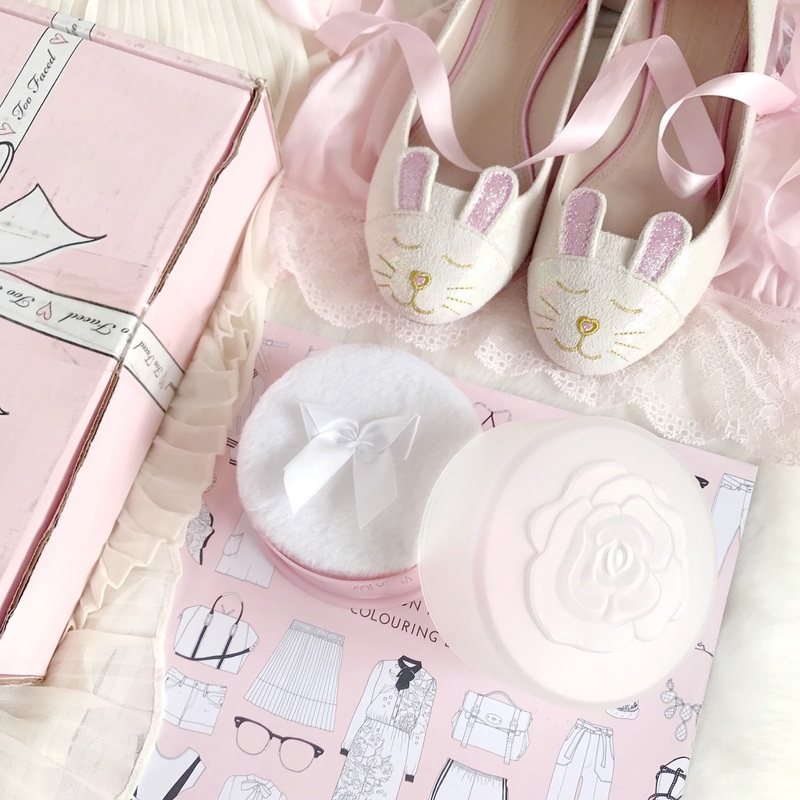 Those bunny shoes are so cute!